Leander Games has been about since 2008 and whilst they aren’t one of the most well-known casino software companies in the industry, in that time they have still managed to carve a more than decent reputation. Unlike most of their competitors, they have decided to keep things small and concentrate almost exclusively within the inline slots sector. Leander’s main markets come from the US and across Europe. The company are based out of Buenos Aries, Argentina and have clearly worked hard to promote their business given the number of casinos that they already work with. Some notable inclusions are Paddy Power, Betfair, PokerStars and Full Tilt Poker. The software on offers means that they can provide an instant play version of their games to their customers, but what’s been interesting to see is that they are big in the Social Gaming industry. They have teamed up with several social media platforms and in 2015 won the eGR B2B Award for Social Gaming Supplier of the Year. As we mentioned, the site is pretty much solely dedicated to the online slots sector and it’s here where they spend the majority of their time and resources. They don’t have a vast array of games to choose from, but from the games that were on offer it’s clear to see that they definitely work hard on producing quality titles that are packed full of features. The company also produce a couple of branded games in the form of Dolly Parton and Megadeth. These two have to be the standout games on site and each offers a beautifully designed, feature packed option for online slots players. The games couldn’t be more chalk and cheese if they tried in terms of themes, but they have a similar underbelly in terms of how they work. 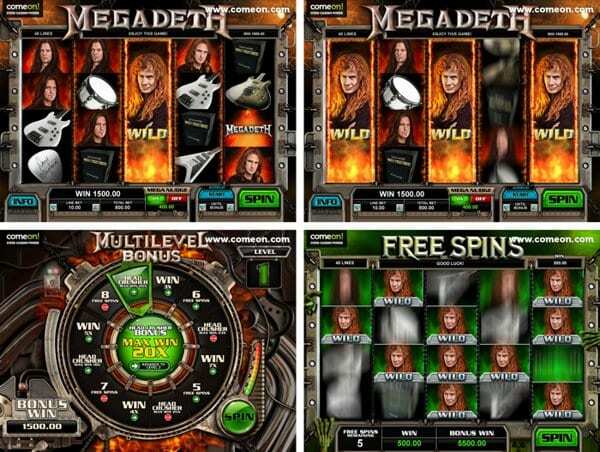 The Megadeth slot game not only features the band members (with different payout values for each member – that has to have resulted in some bitter rivalry between the guys) but also music from some of their most famous tracks – such as Symphony of Destruction and Hangar 18. The slot has 40 paylines, a bonus game, free spins (with sticky wilds) as well as expanding wilds in the regular game. Plus an optional ‘mega nudges’ feature which can be played for an additional cost. What’s probably most interesting about the company has been their dedication to creating games that are accessible on social media platforms. As mentioned, they have already won awards for these efforts and it’s a sector of the industry that they are looking to dominate in years to come. The Reely Series of games that are on offer are a modern twist to table games that you would expect see from a more complete casino company. They include games like Reely Roulette, Reely Blackjack Stud Poker and Reely Bingo. The difference with each game is the format, which have been condensed to work as a video slot. For example, the Roulette game covers just 12 numbers in total and then you spin the create patterns within that game. Leander games don’t offer jackpots as such, but we wanted to mention that with each game the payouts seem to be a lot larger than most. They claim to have games that offer some of the biggest ‘stock’ prizes in the industry, so this does tip the balance somewhat when it comes to jackpots. As Leander Games has only been about since 2008, the company are comparatively new to the industry when stood next to some of the old guard. 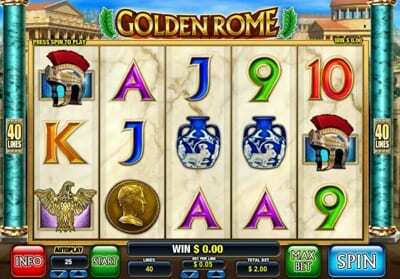 Many companies have been around since before the dawn of online gaming, and in that time have been able to set up firm connections with casinos and also create a huge catalogue of games along the way. There is little doubt that Leander Games haven’t quite reached the heights that the Buenos Aries based company have set their sites on, but the progress they have made is evident for all to see. What’s exciting about Leander games is that they are willing to try something different to get ahead in the industry. Even though they aren’t as established as some, Leander Games have to be one of the more exciting games operators in the industry and it should be very interesting to see where they are headed over the next 5-10 years.